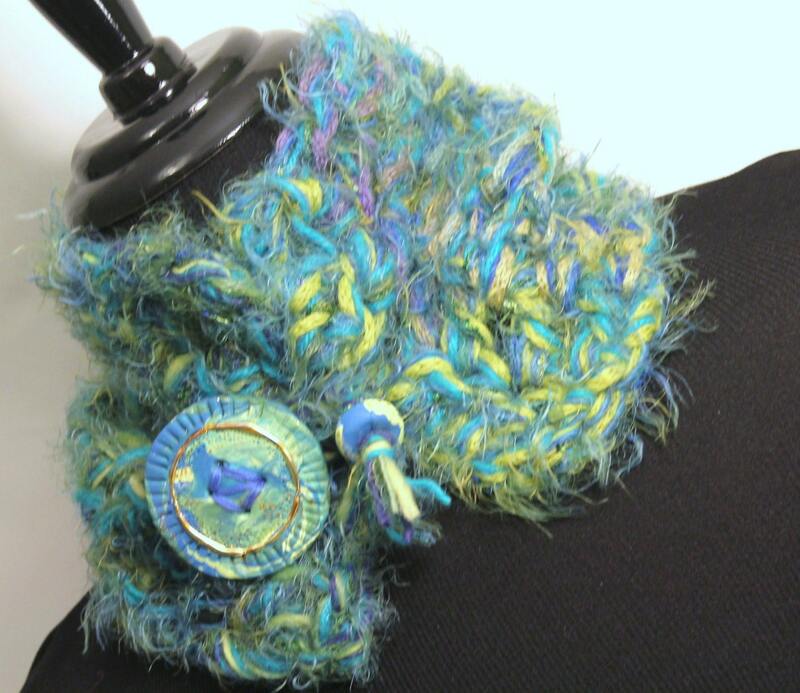 Hand Crochet of mixed art fibers that create a dense, lush super soft collar, and finished with a unique polymer clay button and hand crochet button loop with tassel and clay bead. 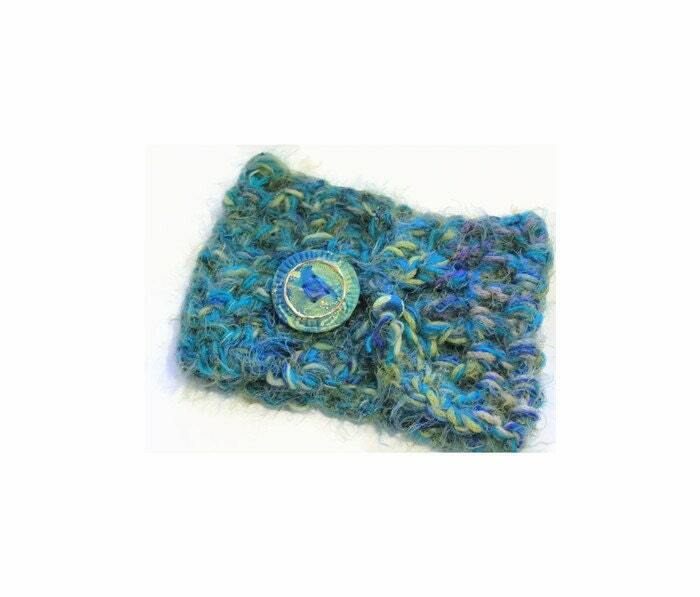 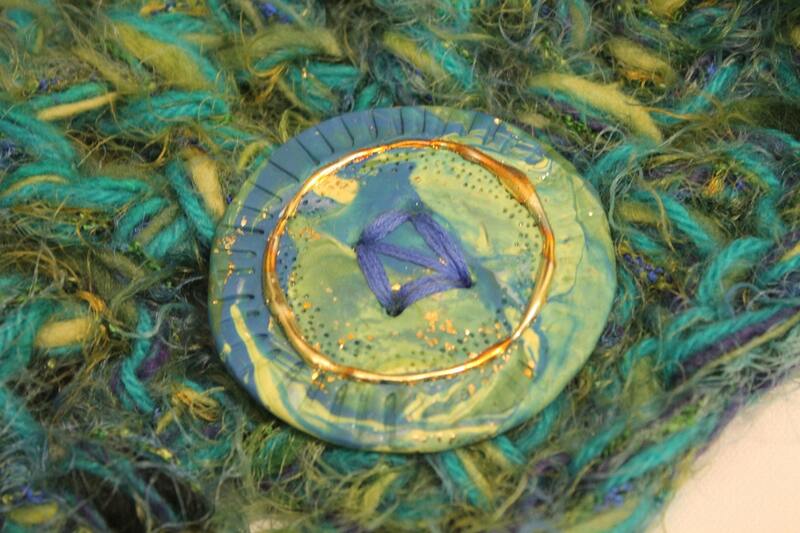 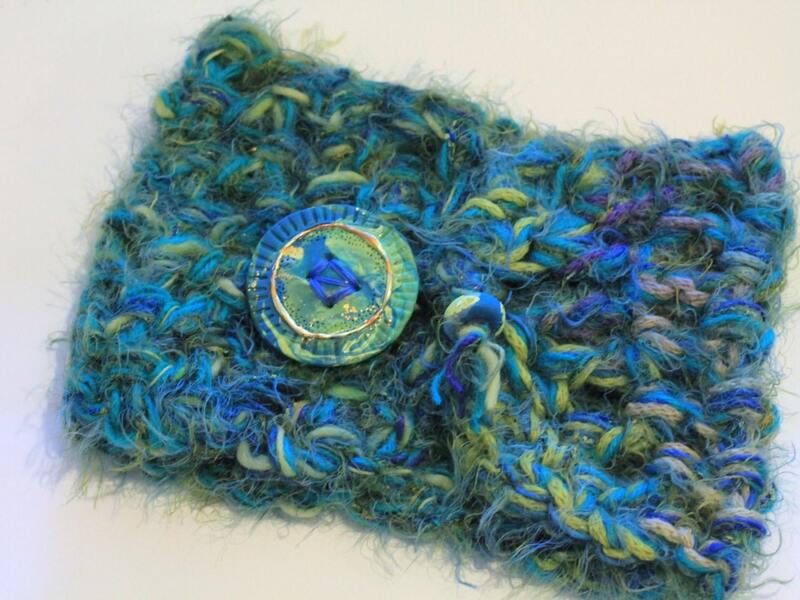 This is a "One of a Kind" Cowl. 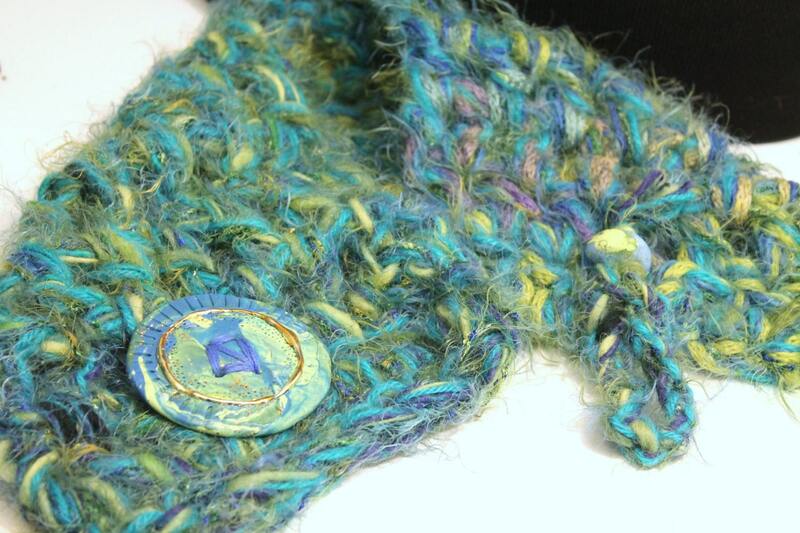 It feels as good as it looks to wear due to the silkiness of the yarns.